"I just saw that Tom had passed. We recognized each other..."
"Pete, Mrs. B and kiddos, Sorry for your loss. 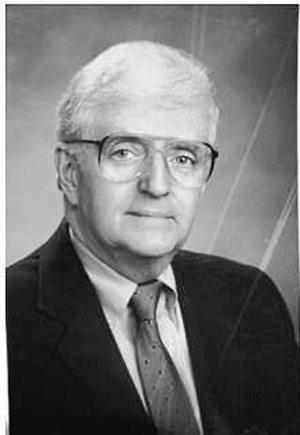 I have fond..."
"Dear Brazier Family, We are sincerely sorry for the loss..."
WATERVILLE - Thomas Joseph Brazier II, 88, passed away unexpectedly, yet peacefully, in his home on Jan. 28, 2019.Thomas was born in Whitehall, N.Y. on May 16, 1930 to Marcella (Breen) and Thomas Brazier. He was the eldest of six children. Thomas was raised and attended school in Whitehall, N.Y.He enlisted in the army and was deployed to Korea where he was awarded the Bronze Star in 1952.Upon returning from military service, he met and married Joan Barnes of Glens Falls, N.Y. in 1957. While working and raising a family, he attended and was graduated from Siena College, Loudenville, N.Y.In 1971, Thomas and his family moved to Waterville. One of his many joys was learning to ski with his family when they moved to Maine. He enjoyed spending several summers on Pratt's Island on the Maine coast. His successful climb to the top of Mount Katahdin, more than once with his family, provided a great sense of accomplishment. He also enjoyed classical music, opera, American history, following baseball, football, and golf.Throughout his career, he was employed as a bank official, and later as a financial planner.He is survived by his brother Paul Brazier of Saugerties, N.Y. and John Brazier of Mechanicsville Va. , former wife Joan Brazier; his five children, Peter Brazier of Lewiston Suzanne Brazier (Kevin) Tierney, John (Stephanie) Brazier, Ann Brazier (Daniel) Boye, William (Dace Krasts) Brazier; and nine grandchildren Benjamin Brazier, Madison Tierney, Isla Brazier, Bailey Tierney, Terra Brazier, Eleanor Boye, Charles Boye, Serenitee Brazier, and Cincere Brazier.Thomas and and his partner of 27 years, Berit Freeling enjoyed movies and traveling together. Friends and family are welcome to gather on Feb. 16, at the Veilleux Funeral Home, 8 Elm Street, Waterville from 1-3 p.m. In lieu of flowersdonations may be made to:The Alzheimer'sFoundation of Americain honor of Paul Brazier.